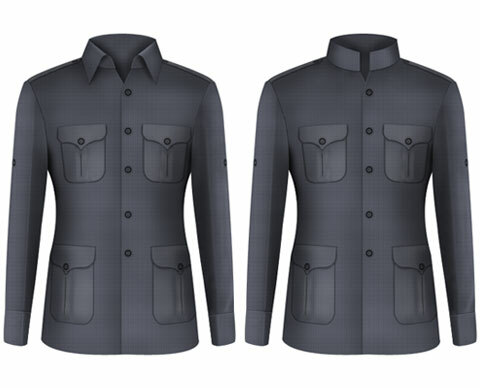 Bush Coat is a fusion garment combining the cut of a jacket and the style of a shirt. Generally it has 4 pockets with flap, belt and plait at back with an option for a functional or non-functional belt. It is a casual wear garment which can be teamed with breeches, trousers and jeans, and can be accessorized with a neck scarf.